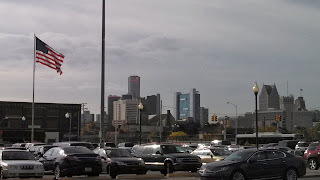 Detroit, despite a national pundit’s opinion, is not Mogadishu. It is a beautiful golden charm that has accrued some serious dents and lost some of its luster over the years. Detroit cannot bury its head in the sand and ignore these problems if it wants to fix them. But focusing solely on those dents does a disservice to the people who are trying to straighten out the dents and polish Detroit’s surfaces. 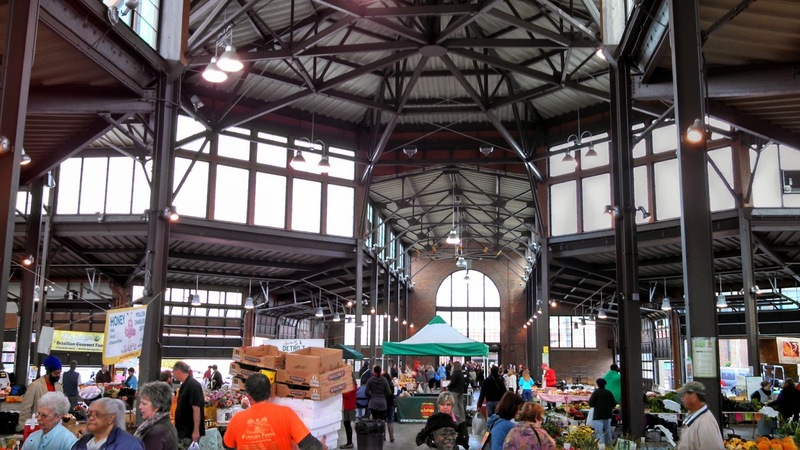 If Detroit is a golden charm, then Eastern Market is one of its sparkling gemstones, and this gemstone has not lost its luster. This gemstone shines brightly because of the 150 businesses that keep Eastern Market thriving. 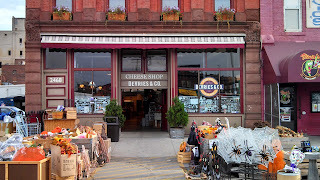 Restaurants, antiques, produce, coffee, and food trucks are all part of the six-block public market that has been operating since 1891. Saturday is the biggest day at the market when hundreds of vendors fill the open-air stalls to sell fruit, vegetables, flowers, meat, and specialty foods. My wife and I visited on a Tuesday, when the market has a smaller selection of vendors who occupy Shed 3. 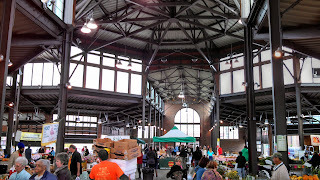 Now that I live in the D.C. area, I regularly visit their Eastern Market on Sundays. Although I love D.C.’s market, Detroit’s market dwarfs it. There are so many restaurants, shops and stalls for vendors. Even though it was midday on a Tuesday, food trucks were out, and cars, trucks and people were moving about. 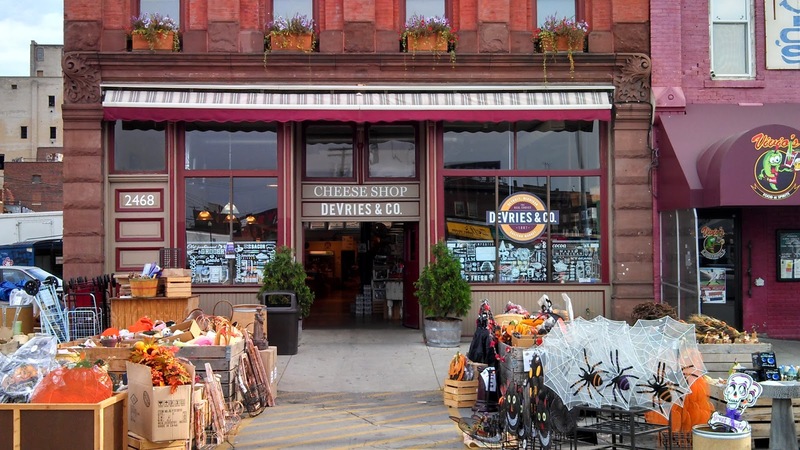 After parking, we first wandered around Devries & Co. 1887, a cheese shop that also sells an assortment of food and Michigan-made products. 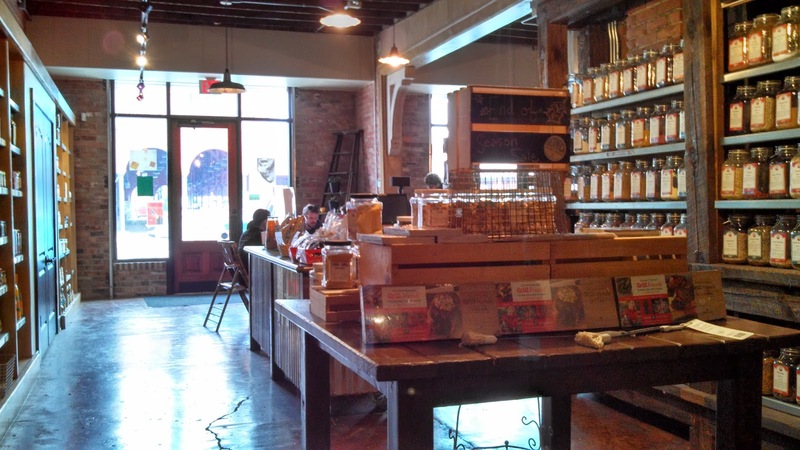 The 126-year old building has a ton of charm with its brick-walled interior and wooden floors. We bought a few small items and definitely would have stocked up on cheese if we still lived in the area. We wandered in and out a few more shops before heading to Shed 3, which was full of vendors. I sampled some McClure’s Pickles, and immediately found myself purchasing two jars of pickles. I also was impressed by On The Rise Bakery, a program run by men who recently have been released from prison or who recently completed a substance program. Their baked goods looked delicious, so I purchased an apple turnover. We then moved to Shed 1, where the vendors sold outdoor goods such as giant flower pots, lawn flags, and hand-crafted wooden benches. I have no idea how much these outdoor decorations normally run, but my wife informed me that the prices were excellent. Our next stop was the Germack Coffee Roasting Company where we both ordered Lattes. As we waited for our coffees, I perused the rows of spices and coffee for sale lining the shop’s brick walls. The lattes arrived, and we sat back, relaxed and sipped our wonderful espresso drinks. 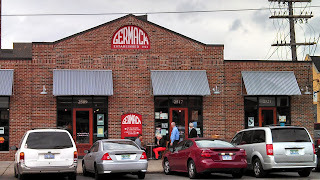 Germack began roasting its own coffee beans in 2012 but has been roasting nuts in Eastern Market since 1924. Germack is the oldest importer of pistachios in the U.S., and they have a shop next to their coffee shop where they sell pistachios and candy. After we finished our lattes and ate lunch, we came back to Germack to purchase some pistachios and coffee. Growing up, my dad was a Germack pistachio addict, but I never realized that the company had such a long history in Detroit. I have heard a lot about Supino Pizzeria. 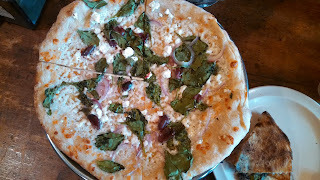 As a pizza snob, I was afraid that the pizza would not live up to my high expectations, but it exceeded them. If you are looking for a classy, white table cloth joint, Supino is not the place for you, but if you want amazing pizza, look no further. I have tried some of the allegedly best pizzas in the U.S. in New Haven, Brooklyn, D.C. and elsewhere, and Supino matches or exceeds all of them. 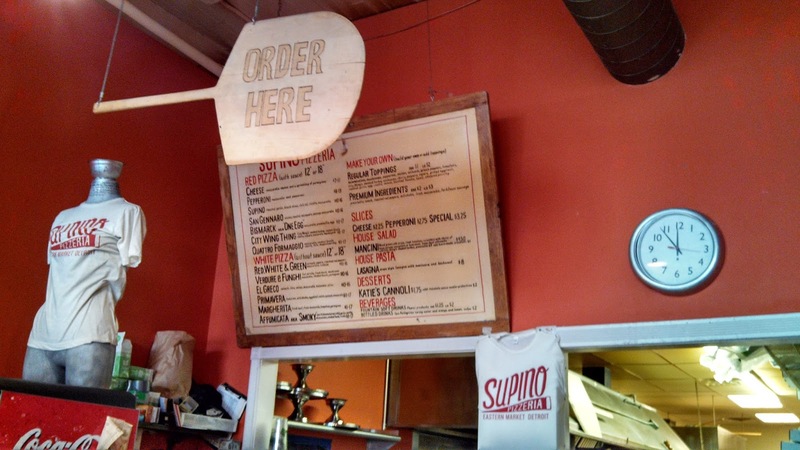 Supino opened in 2008 and is one of the newer businesses in Eastern Market. They are one of many businesses, small and large, that have opened in or moved to Detroit in the last few years. The owners and employees at these new businesses, and the older ones that stayed in the city like Germack, do not believe that Detroit is hopeless. The people of Devries, Germack, Supino and other Eastern Market businesses have kept their gemstone shining clearly and brightly, and there are other people, businesses and nonprofits working to restore the rest of Detroit’s luster. They have the will and innovation to remove the dents and polish the scratches that have accrued over the years. It will not happen over night, but it will happen. We just have to support them and believe in them.